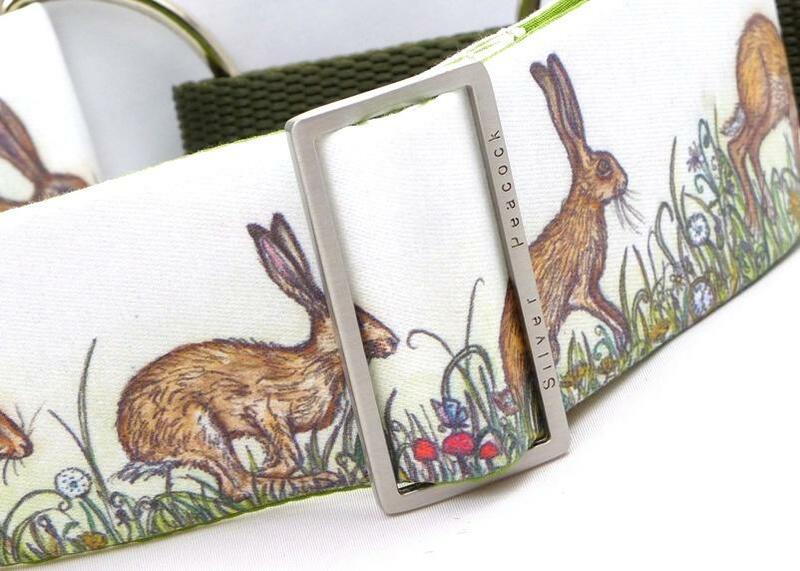 Highly detailed hares bound through meadow grass and flowers but do look out for other surprises! 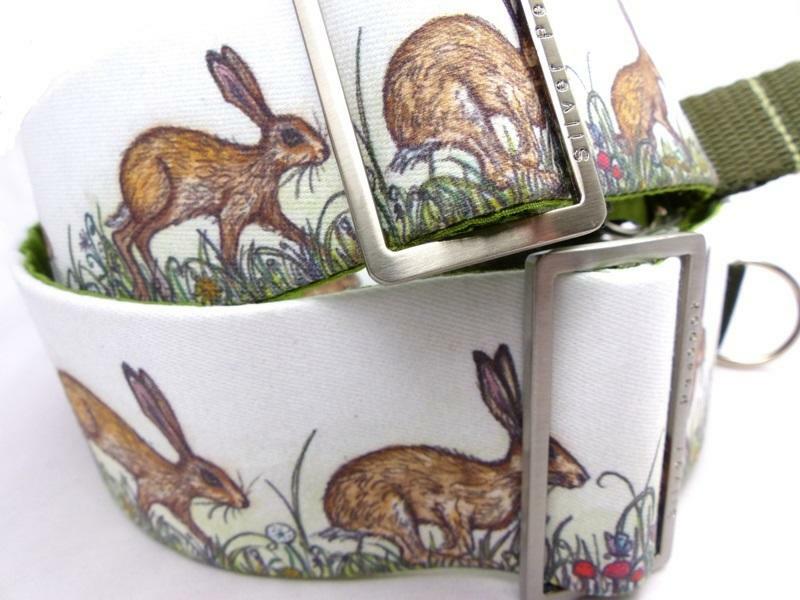 The design is printed on high quality 100% cotton sateen giving a subtle sheen to the fabric. 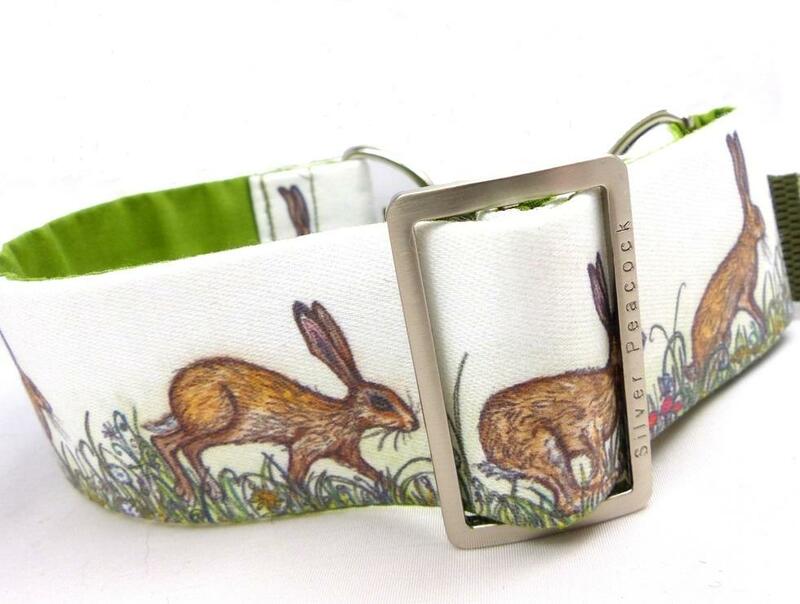 The collar is lined in complementary meadow green fabric and is finished with robust silver coloured hardware. 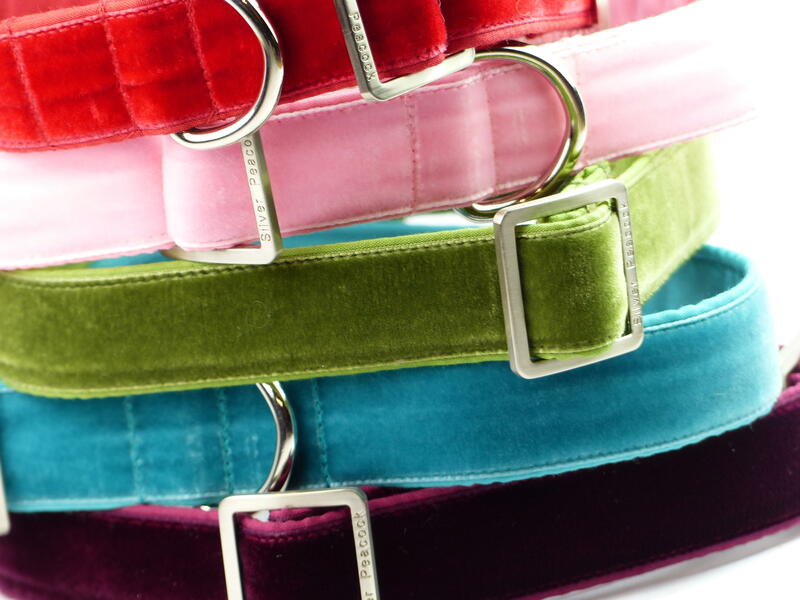 The martingale has a moss green webbing section. 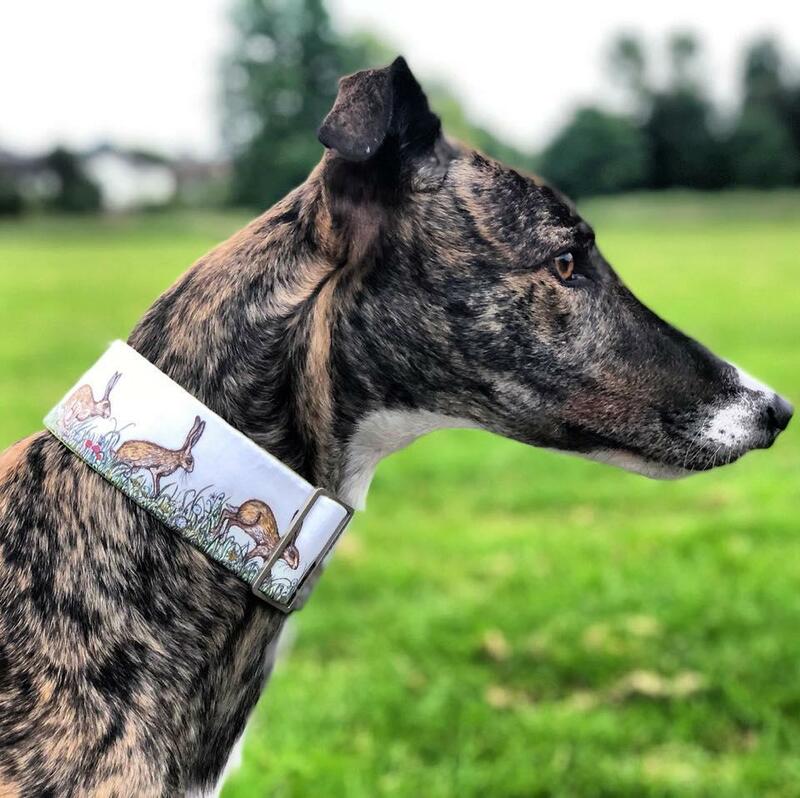 This design is not suitable for a tiny collar or co-ordinating dress lead but we can make a gorgeous co-ordinating velvet lead or house collar.